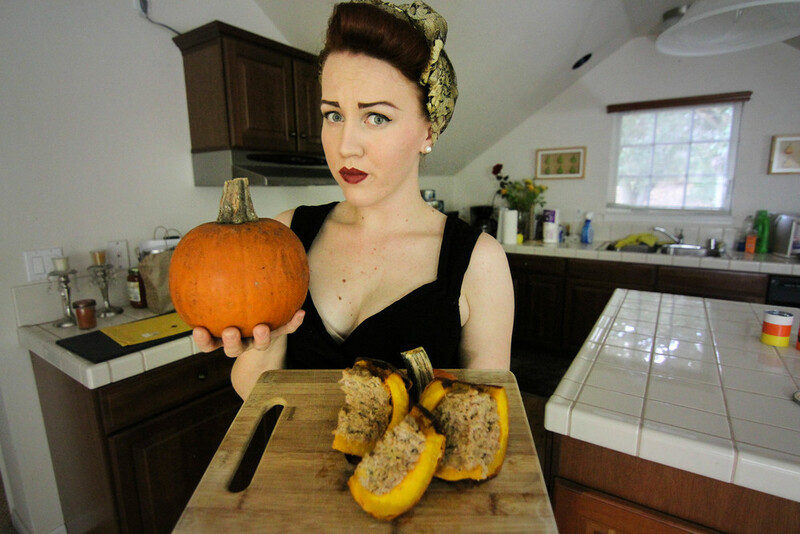 You can’t get anymore Halloween then with a PUMPKIN MEATLOAF! The only questionable part to this recipe (bahahaha I said “only”, I crack myself up) is that it has no pumpkin within the meatloaf itself. Which is something that I kind of assumed, but alas I was wrong. 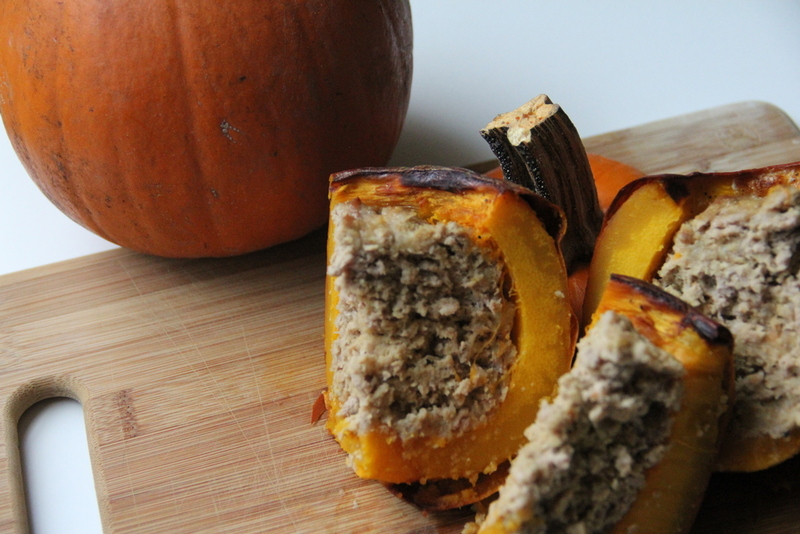 Meatloaf baked in a pumpkin = pure magic. I found this recipe on Retro Housewife’s Blog! Check out that blog down below! Lots of interesting goodies galore! Now, this is really EASY recipe, but here’s the thing….I didn’t add all the ingredients listed down below. So here are the traditional recipes & I’ll mention the substitutes/the ones not added into the video. Cut top from pumpkin; remove seeds. 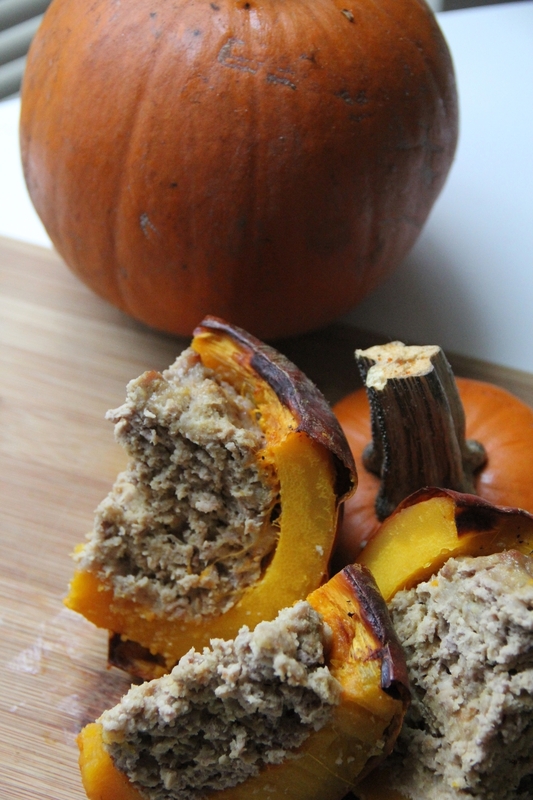 Place pumpkin in baking pan; and add 1 inch hot water. Cover pumpkin and pan with foil. Bake at 400° for 45 minutes, until almost tender. Pour off water. 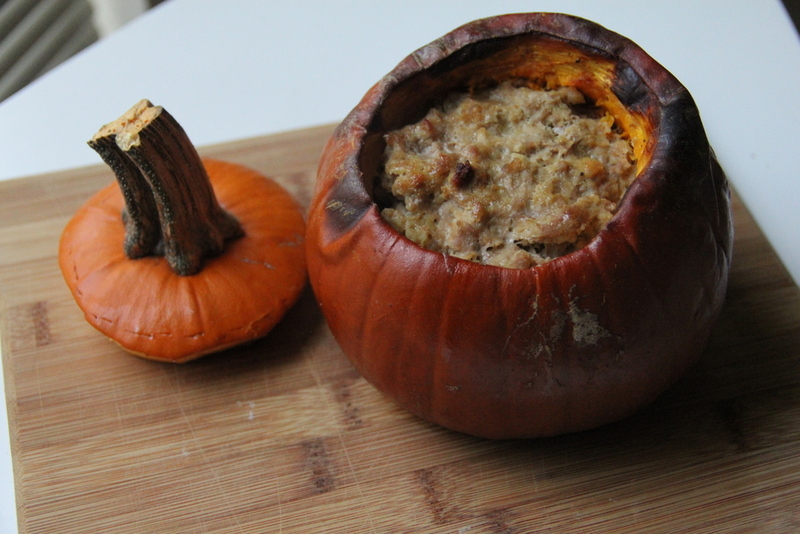 Season inside of pumpkin with salt and pepper; spread with about 1 tablespoon mustard and sprinkle with brown sugar. Combine egg, 2 tablespoons mustard, Worcestershire sauce, ½ teaspoon salt, ground beef, and bread crumbs; mix well. Spoon into pumpkin shell packing down lightly. Return to oven and bake, uncovered, 45 to 60 minutes, until pumpkin is tender and meatloaf is cooked. Cut into wedges to serve. 6 servings. This wasn’t bad recipe. 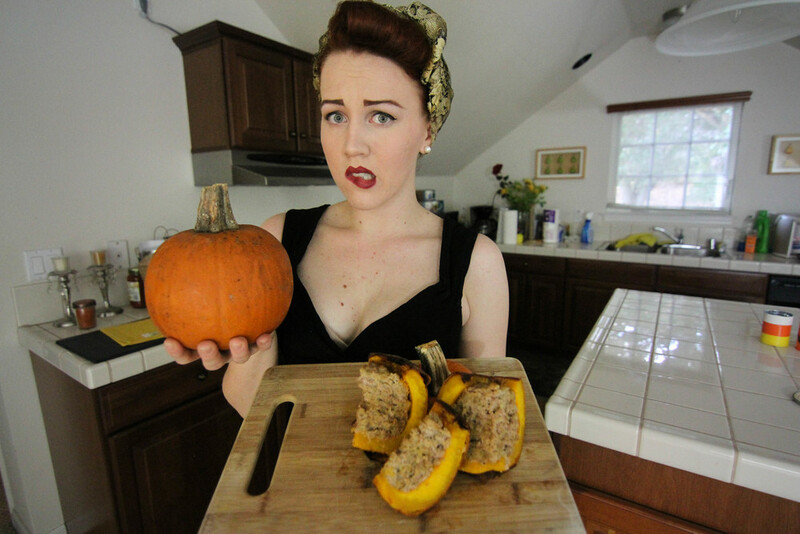 Like I mentioned in the video, I would have expected some pumpkin puree or roasted pumpkin mixed in with the meatloaf itself, but if you dig into the meatloaf you will ultimately dig into the pumpkin itself. It’s an interesting concept to say the least, but for the most part it works. Don’t forget to comment & subscribe & SHARE! 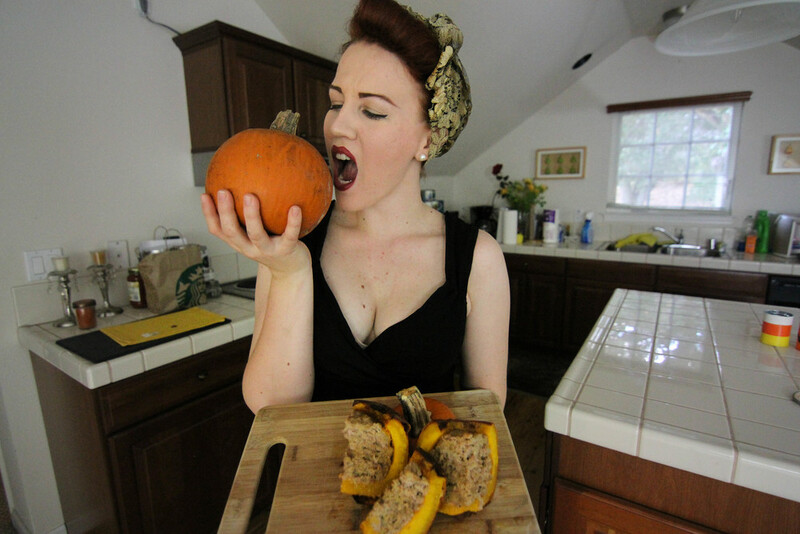 It's the GREAT PUMPKIN MEATLOAF(? ), Charlie Brown!